Thanks to those who attended on Saturday for our first event of the year. I would also like to thank those who helped organise Saturday & welcome the new members to the society. Our winner with a cracking round of 34points was Babs. Babs will go into the EGS history books as the first ever Lady member to win an event. Nearest to the pin was last years Captain, Steve Foster. Nearest to the pin in 2 was new member Steve Peck. Welcome to the society Steve. Longest drive was won by Stuart ‘The Monster’ Wren. 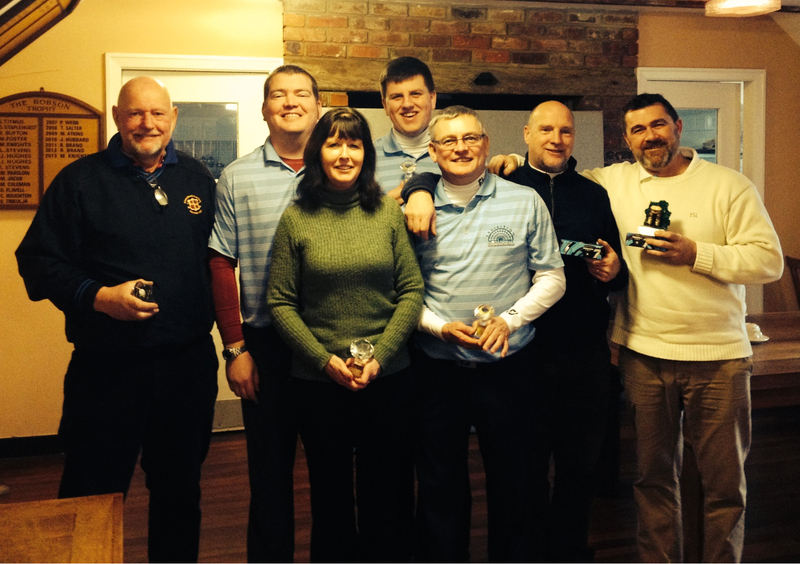 We then move onto the Captains Prize. They were a few Candidates, myself included. However, Zane Sheldrake continued his selfless support for this award. Zane had never used a golf trolley until Saturday past. Unfortunately moisture set in early & he forgot about the trolley and on numerous occasions (4 times I am reliably informed) put his bag onto his back. Only remembering about said trolley when one of the wheels hit him in the back of the leg! Nice one Zane, I’m sure they will be plenty more stories before the year is out. Arrival by 11am first tee @ 12. Cost £25.00 including prizes, bacon roll & coffee on arrival. If you would like to be in the singles knockout & have not let me know. The cut-off is Friday the 14th February at 5pm. We will then make the draw that weekend ready for Aldwickbury.